Although we currently do not have any open positions for PHP Developers, you are always welcome to send us your open application (CV and motivation letter). Sorry, no agencies please. And also, please confirm that you are an EU- citizen, or eligible to work in the EU. 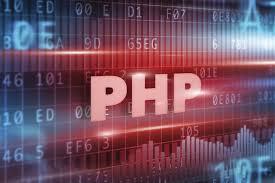 We are regularly looking for PHP Developers (Medior / Senior – depending on experience) to work on our energy trading and risk management software. Are you that creative and hands-on person that loves to come up with new ideas on how to improve the way our software is displayed? Do you have a good eye for detail to make sure that the code you are writing is working perfectly? If you are still enthusiastic, please read on! We always welcome open applications. In your motivation letter, please tell us why you would like to work for KYOS, and what experience and skills you will bring along. You can send your application (CV and motivation letter) to: info@kyos.com.